There's a brave new world beyond the English alphabet: Here are 16 third-party iOS keyboards to communicate using Disney gifs, Instagram pics, or Lil' Wayne rap lyrics. 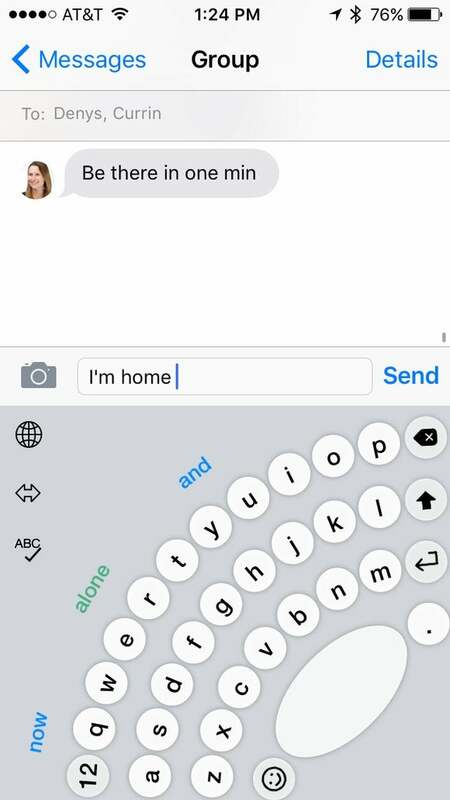 Yep, there's a keyboard for that! 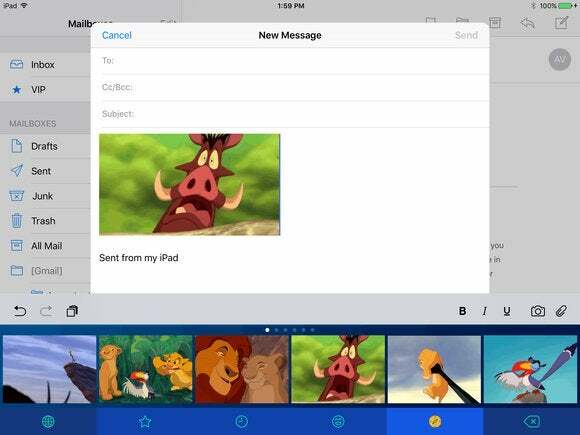 There’s a brave new world beyond the English alphabet: Here are 16 third-party iOS keyboards to communicate using Disney gifs, Instagram pics, or Lil’ Wayne rap lyrics. Watch our video detailing the 5 weirdest iOS keyboards we managed to get our hands on. If you use the free Sunrise calendar app on iOS, then you already have the Meet keyboard on your phone. 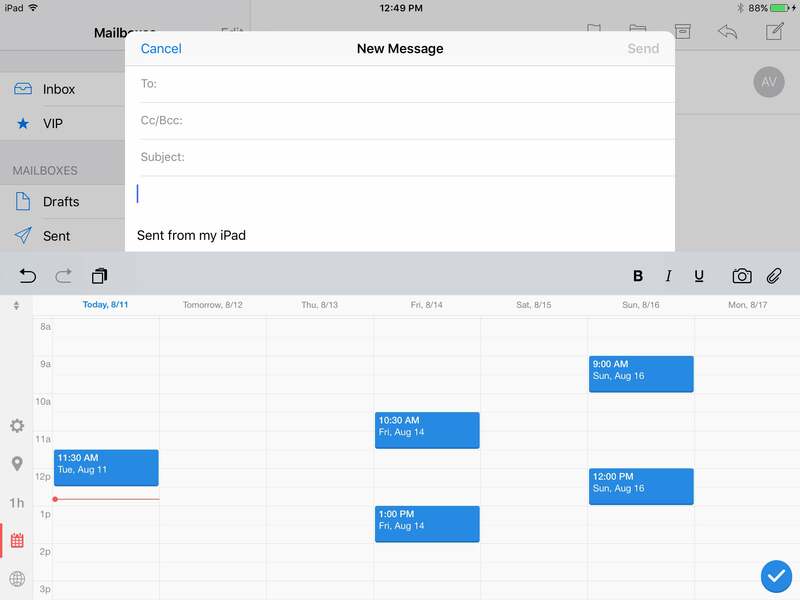 Add the keyboard in your Settings to quickly able to access your calendar. Meet lets you choose available meeting times and automatically creates a link where the respondents can chime in as to their availability. 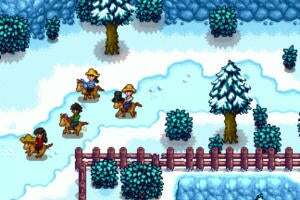 Once a date and time is confirmed by both parties, the event gets put in your calendar. Avid Instagram users will tell you that the secret to getting more likes on their photos is savvy use of hashtags. 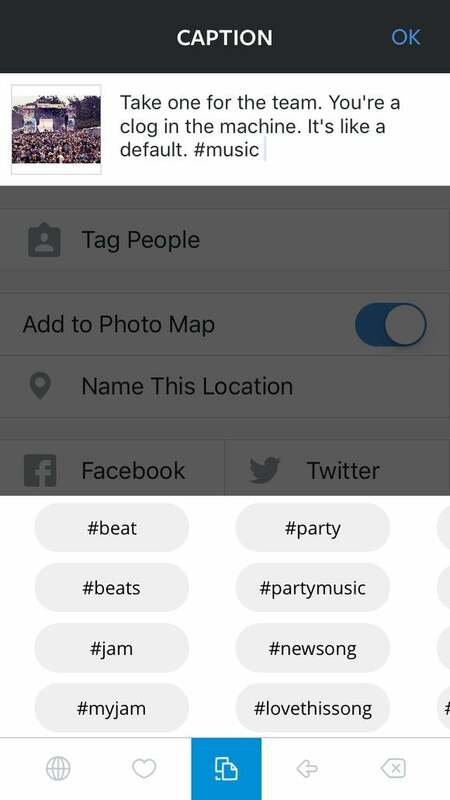 The TagsDock ($1) keyboard helps you pick out relevant hashtags for your photos without even having to type “#” ever again. 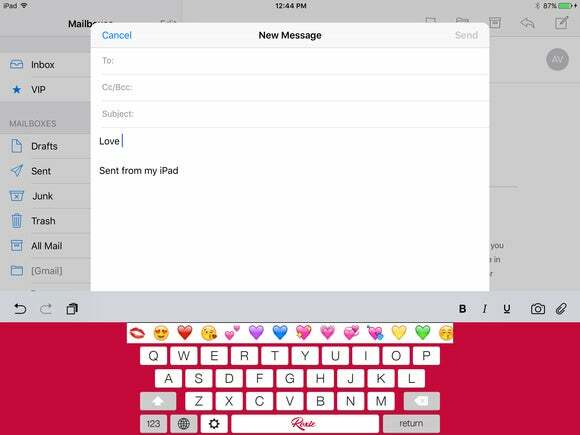 This keyboard also works on Vine, Facebook and any other hashtags-tic social media apps. 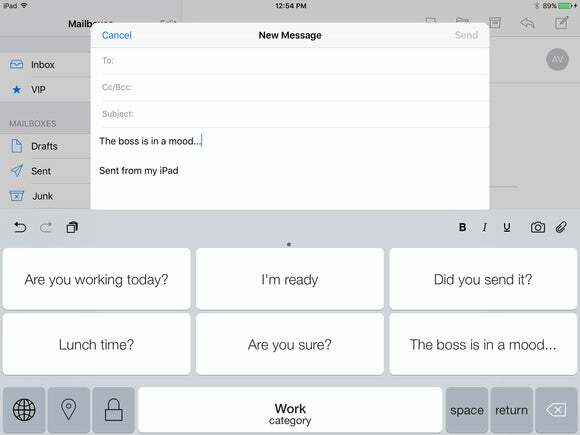 Thingthing is an iOS keyboard coming this September that will turn your keyboard into a one-stop attachment app. 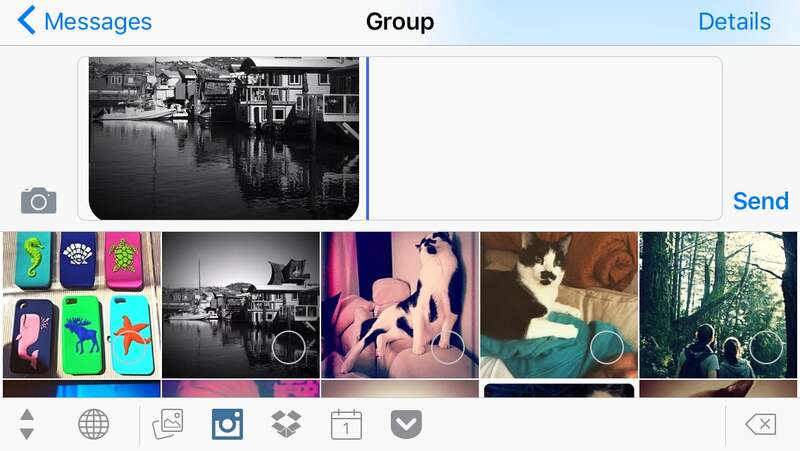 You can connect your Photos, Facebook, Instagram, and Flickr account to share photos with your friends without leaving iMessage. Thingthing can also help you be more productive. 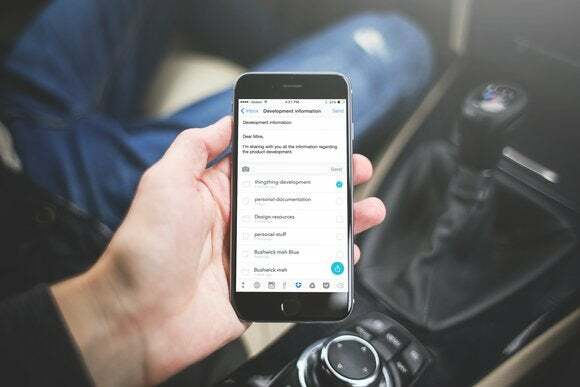 Simply connect your Google Drive, Dropbox, OneDrive and Pocket accounts so that you can quickly attach documents in email messages. You can also connect your Calendar so that you quickly peek at your schedule whenever someone asks to make plans. 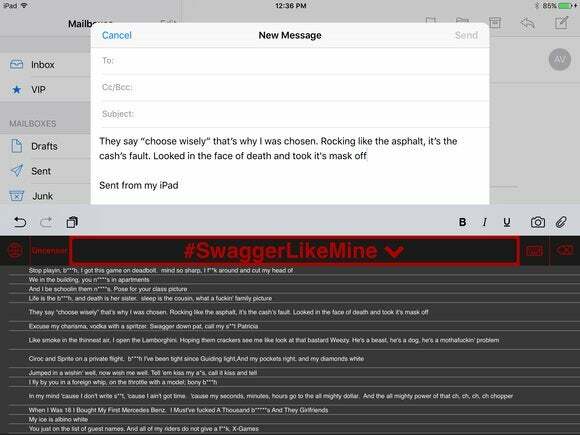 Fans of Lil’ Wayne can now communicate by sending rap lyrics back and forth. The free Lil Weezy Keyboard is a goldmine of silly—and explicit!—expressions made popular by the famous rapper. Luckily there is a censor button, just in case you’re not a fan of profanity. Having a text conversation while holding a cup of coffee or carrying groceries can be quite the predicament. Thankfully the Thumbly Keyboard ($2) makes it easier than ever to type with one hand. This third-party keyboard has been redesigned so that all the keys are within reach of either your left or right thumb, so you’ll never need both hands again! 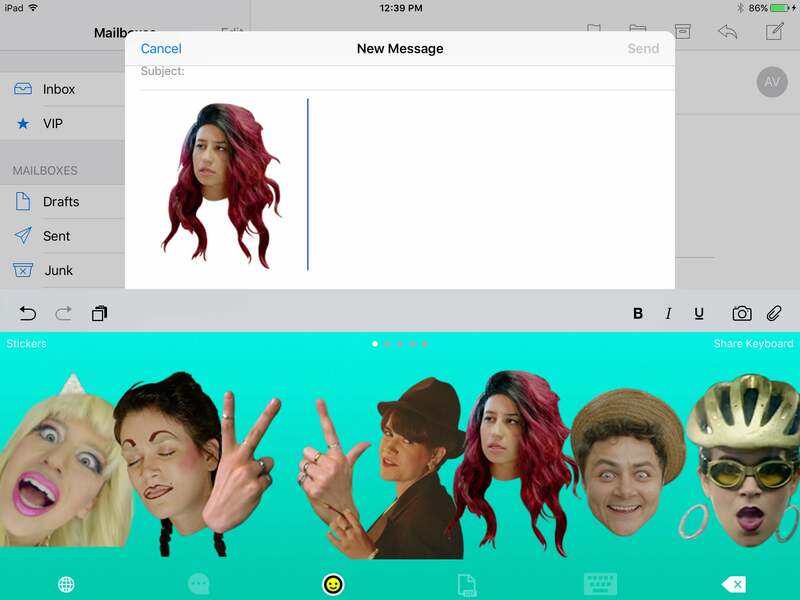 This free iOS keyboard was inspired by the funny ladies behind Comedy Central’s hit show Broad City. So expect a batch of crazy emoji, gifs and stickers for all those “yasss queen” moments in your life. 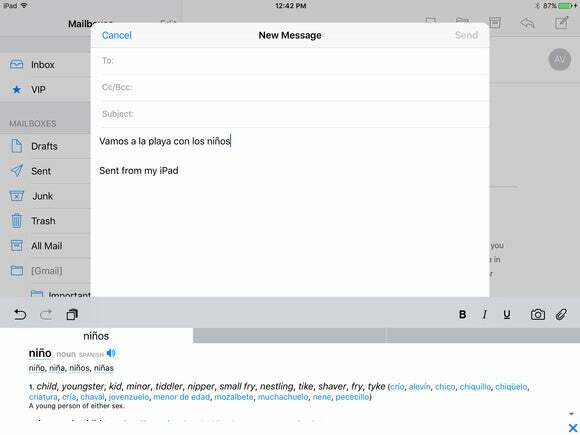 There are several full translation keyboards for iOS but can cost you up to $10. 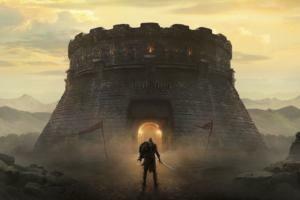 If you mostly type messages in English and Spanish, then try this free alternative. 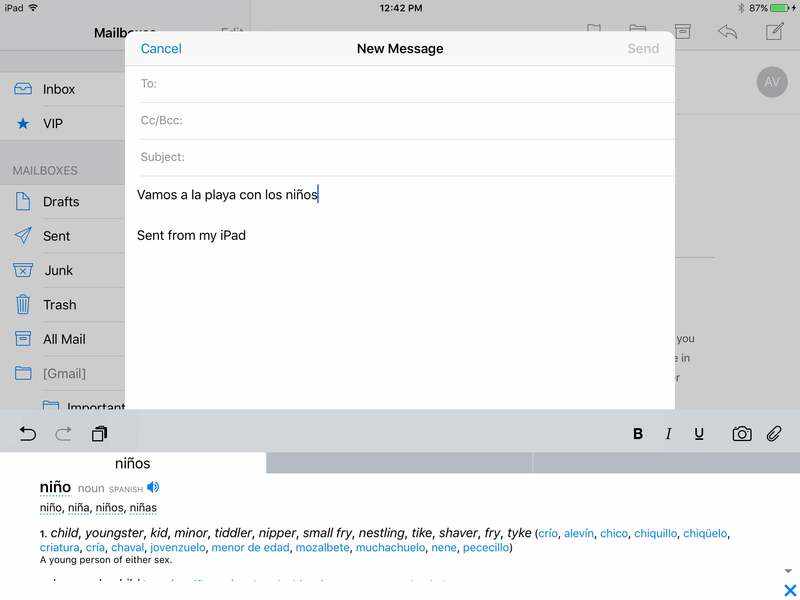 The Amigo Spanish Keyboard comes stocked with a full English/Spanish dictionary and grammar rules. Amigo even offers to pronounce the Spanish words so you can become fluent in real life too. Trekkies out there will love to learn that there is a Klingon iOS keyboard. 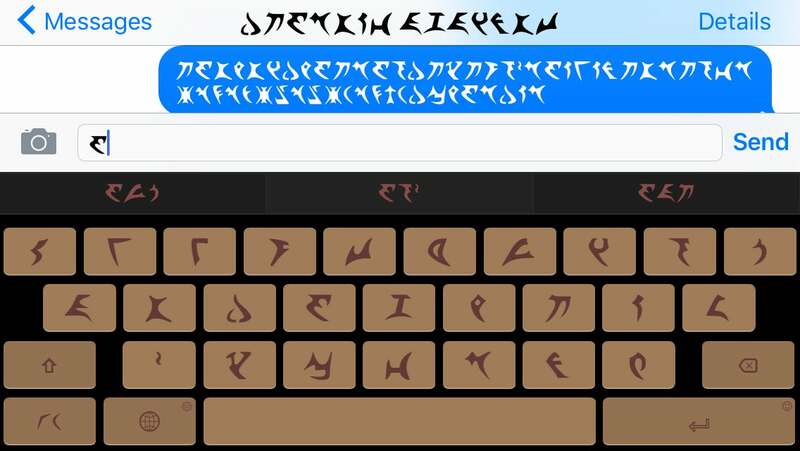 That’s right: Klingon SwipeKeys ($1) downloads the original font on your phone and lets you text with your friends in this sci-fi cult language. Tired of typing the same phrases over and over again? The Phraseboard Keyboard is here so you won’t ever repeat yourself over text messages and email. 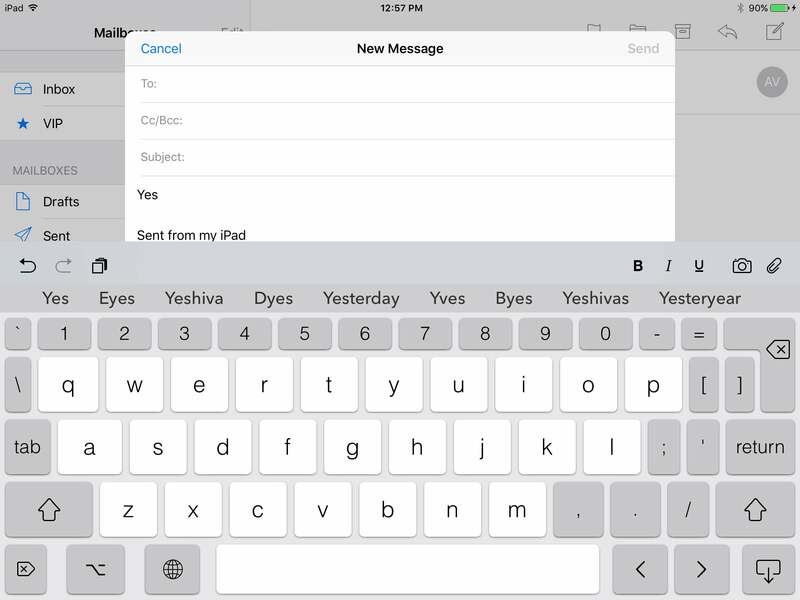 This free iOS keyboard stores information such as names and addresses so you can send them over with a quick tap. 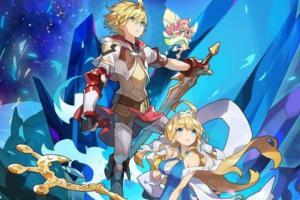 It also comes stocked with common phrases for different type of messages: work, family, or friends. 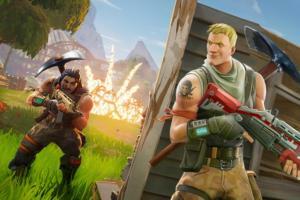 You can edit these phrases or add new ones depending on how you communicate. There are a ton of gif keyboards available in the App Store, but if you have a soft spot for the wonderful world of Walt Disney, then this free Disney Gif keyboard is for you. The gifs are organized by movie and also by category from “sassy” to “villanous.” This iOS keyboard is not just limited to Disney’s kid flicks, either. 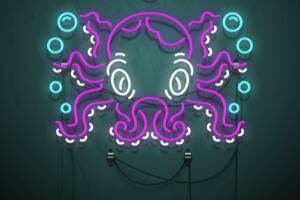 The company has included gifs from their other properties, including Pixar, Star Wars and their ABC TV channel. 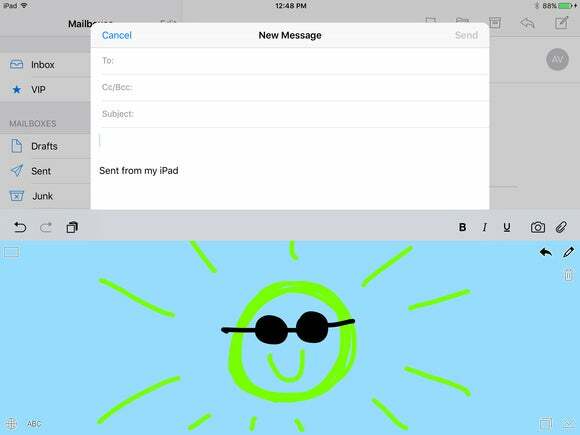 This free iOS keyboard gives new definition to the phrase “words with friends.” HangKeys creates the stick figure hanging tree and lets your friends guess letter after letter until they figure out the word—or give up trying. Want and easier way to find and use emojis in your everyday messages? 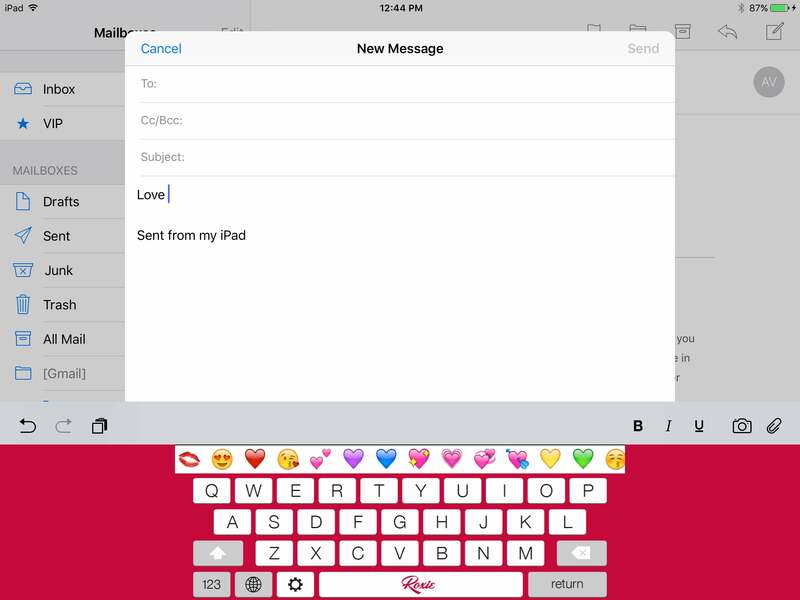 Try the Roxie Visual Keyboard. This free third-party keyboard suggests emojis that best suit the word or phrase you’ve typed. For example, typing “Love” surfaces all the heart and kiss emojis. 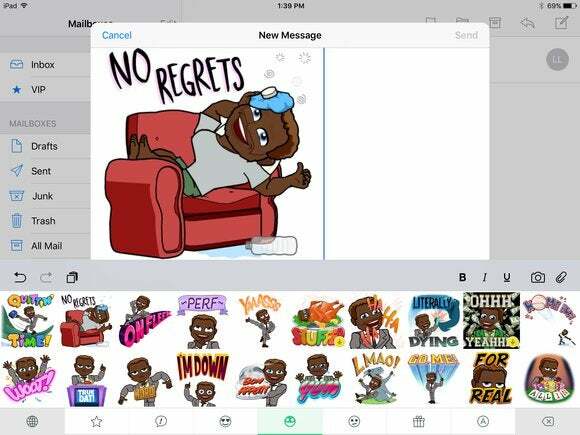 The popular Bitmoji creations are now right at your fingertips with the Bitmoji iOS keyboard. Download the free app and create your funny-looking avatar to convey some personality everytime you want to type LOL. Do you miss playing Pictionary or DrawSomething? The ScribbleBoard ($1) app turns your keyboard into a blank canvas so that you can share your doodles all day long. For all you iPad power users, PadKeys Keyboard ($2) utilizes the iPad’s larger screen to include numbers and punctuation so you don’t need to switch screens when typing. 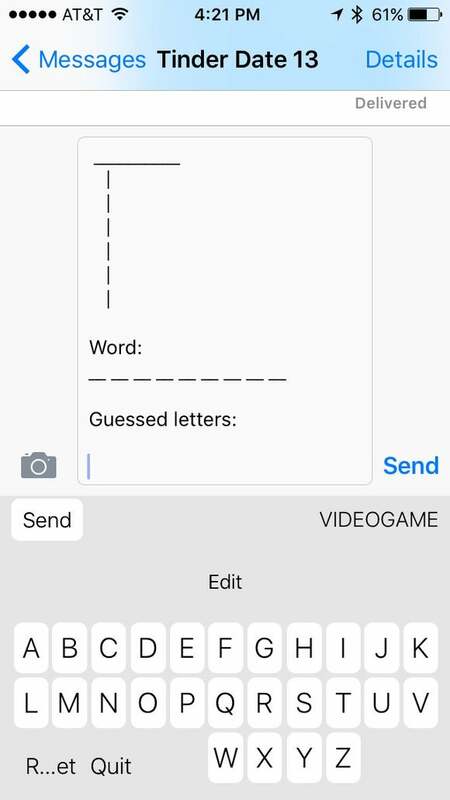 Essentially, PadKeys mimics a physical keyboard and with a more robust predictive text suggestions. 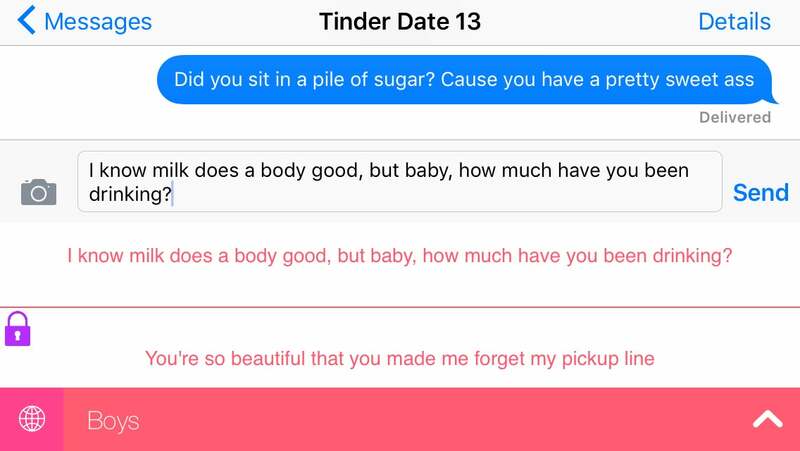 So you’ve matched with someone on Tinder, but you’re not sure how to start a conversation? This Flirt Keyboard ($1) comes with a handy-dandy list of phrases for men and women to flirt via text. Be careful, though, most of the suggestions are definitely cheesy. This iOS keyboard is best for playing a silly prank on your friends.